1 Hashem remembered Noach and all the beasts and all the cattle that were with him in the ark, and Hashem caused a wind to blow across the earth, and the waters subsided. 4 so that in the seventh month, on the seventeenth day of the month, the ark came to rest on the mountains of Ararat. 5 The waters went on diminishing until the tenth month; in the tenth month, on the first of the month, the tops of the mountains became visible. 7 and sent out the raven; it went to and fro until the waters had dried up from the earth. 8 Then he sent out the dove to see whether the waters had decreased from the surface of the ground. 9 But the dove could not find a resting place for its foot, and returned to him to the ark, for there was water over all the earth. So putting out his hand, he took it into the ark with him. Throughout Talmudic literature, the Jewish people are compared to the dove. Once a dove meets her mate, she never leaves him for another, and a dove, even when her offspring are taken, will never abandon her nest. 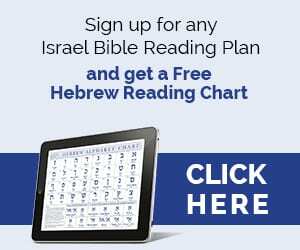 In a similar fashion, the Children of Israel are faithful to God. The Sages of the Midrash comment that the dove that Noach sent foreshadows the journey of the Jewish people throughout history. Just as the dove found no rest for the sole of its foot, so the Jews will find no solace in exile. Just as the dove returned to the ark seeking shelter, so the Jews will return from exile to the Land of Israel. Like Noach’s dove, the people have remained faithful to Hashem, and now, after thousands of years of absence, have returned to His land. 10 He waited another seven days, and again sent out the dove from the ark. 11 The dove came back to him toward evening, and there in its bill was a plucked-off olive leaf! Then Noach knew that the waters had decreased on the earth. 12 He waited still another seven days and sent the dove forth; and it did not return to him any more. 13 In the six hundred and first year, in the first month, on the first of the month, the waters began to dry from the earth; and when Noach removed the covering of the ark, he saw that the surface of the ground was drying. 14 And in the second month, on the twenty-seventh day of the month, the earth was dry. 16 “Come out of the ark, together with your wife, your sons, and your sons’ wives. 18 So Noach came out, together with his sons, his wife, and his sons’ wives. 19 Every animal, every creeping thing, and every bird, everything that stirs on earth came out of the ark by families. 20 Then Noach built an altar to Hashem and, taking of every clean animal and of every clean bird, he offered burnt offerings on the altar. 21 Hashem smelled the pleasing odor, and Hashem said to Himself: “Never again will I doom the earth because of man, since the devisings of man’s mind are evil from his youth; nor will I ever again destroy every living being, as I have done. Your text is in verse 21, and when read in context, God said as in verse 22 "While the earth remaineth". Word ALWAYS have to be read in context, with the following queries list: What happened? Where did it happen? How did it happen? As a result of what (why) did it happen? What was the result of this happening? What was said? Who said it? Where did he say it? How did he say it? Why did he say it? To whom did he say it? What is the expected result of what was said? Obedience or disobedience (to Word) ALWAYS has a result, and God's promises after Abraham ALWAYS have a condition, which is based on obedience (to Word) and commitment. Obedience or disobedience (to Word) ALWAYS has a result, and God's promises after Abraham ALWAYS have a condition, which is based on obedience (to Word) and commitment. We read in Gen. 8:19 "….neither will I again smite any more every thing living, as I have done." That's complete opposite the church doctrine – we have been teached so long – that the whole earth will be destroyed with the coming of the Mashiach. 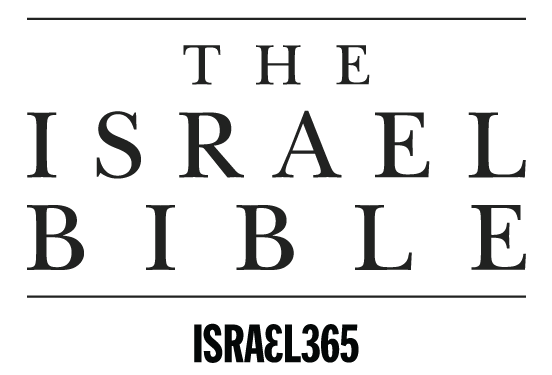 Thanks to the restoration of Israel, we are reading the Bible with new eyes. Baruch haShem! Just as a reminder of what I've said elsewhere, the patriarchs were NOT Jews. They were Hebrews. Otherwise, I really like the Sages comments in v. 9 above. Their observation of the "Jewish" people finding no rest in exile is beautiful. Judah was exiled to Babylon, and then again by the Romans. For at least the last 100 years, they've been returning to the Land. Nearly 70 years ago, they became a nation. However, I must remind everyone Judah and Benjamin were only two of the twelve sons of Ya'acov. There are still 10 more of their brothers exiled among the nations. Our brothers have found solace in the Promised Land. However, for us still out here, there can be no comfort. We languish among the evils of our neighbors. However, one day we will return to the Land, being led by our "Aleph/Tav" Messiah. Then, the two sticks of Judah and Yisra'el will become one again, to dwell together in perpetual peace and harmony. Thank you so much for that second paragraph – it does paint a beautiful picture in my mind and heart. Noach blessed God by offering a sacrifice when he exited the ark, even with few earthly possessions. And Noach was given a promise that the earth would remain, as long as it would take to redeem mankind.